Many of the designs made possible through additive manufacturing are “impossible” using traditional manufacturing technologies — or, if they’re not outright impossible, they’re at least so expensive or difficult to produce that they may as well be. 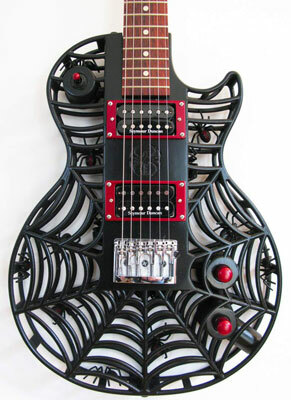 Here are ten designs you can achieve only by using additive manufacturing. When Kirk created small whistles to give away at his daughter’s last birthday party, each whistle included the initials of the recipient. For two girls who showed up without RSVPs, he was able to print the last two whistles while party games were played. Details such as serial numbers or small spiders can be included in the design file so that each printed object is created with its own identity. Unlike traditional implants — which use standard rods and other adjustable components — 3D-printed implants can be designed to perfectly complement the recipient’s existing body dimensions. Another advantage is that such objects can be printed with complex inner patterns, such as Within Labs’ trabecular lattice that allows bone tissue to grow directly into the implant itself (a process called osseointegration). The resulting cranial cap or joint replacement, incorporating the patient’s natural tissues, can become a part of the recipient’s body without having to be attached with screws and other mechanical fasteners (which can wear away at tissues and cause further damage to bones over long-term use). New designs for robotic insects can be created using 3D printers to fashion integrated components capable of popping into their useful configuration directly out of the printer. Traditional equivalents would require sub-assembly steps before they could be deployed while their 3D-printed cousins could be deployed using only an automated fabrication facility. 3D-printed drone aircraft allow for the on-site fabrication of remote sensing tools for gathering intelligence in disasters or military settings. These drones are lighter in weight than their traditionally manufactured equivalents because their structural strength does not depend on the solid measure of their material form. This reduction in mass allows more drones to be fabricated using the same pool of raw materials, and each can operate for a greater length of time using the same amount of fuel. Airbus and other manufacturers hope to apply these same efficiencies to their full-sized aircraft once 3D printers capable of printing entire airliners are available. The U.S. military has developed 3D fabrication facilities that fit within a standard cargo transport container, allowing the deployment of a rapid fabrication and testing lab along with troops in the field. Such compact but full-featured facilities allow immediate solutions to be identified, tested, and produced on site in limited quantities. Full fabrication is managed back home, using tested electronic designs transmitted directly back from the testing module. In fact, end users can come up with new designs or needed modifications without leaving the operational theater. Because additive manufacturing techniques like FDM/FFF do not rely on gravity for layer construction, they can operate upside-down or in microgravity environments such as Earth orbit on the ISS (International Space Station). NASA is currently developing a variation of electron-beam welding that will allow metal in wire form to be built up into solid objects in vacuum. This development will let future astronauts travel without having to carry spares of every possible tool they might need in their explorations — just another 3D Printer that can print spare parts for its twin. Another example of space technology being tested using 3D printing involves printed foodstuffs, intended to break up the monotony of extended-duration travel in space. These “finger foods” can be produced in artistic designs that also fulfill nutritional requirements for astronauts. Current designs are being tested using materials with multi-year shelf life in storage — vital to the preparation of landing sites ahead of our future explorers. Markus Kayser’s design for the Solar Sinter and current work at the NASA JPL — or at EU sites for space technologies — are demonstrating the fabrication of complete objects using nothing more than local solid materials and sunlight. Whether these printed objects are bowls formed of glass fused from sand or structures formed of the local version of rocks, these technologies represent one of the “purest” forms of green engineering: Final products could be ground back up and returned to their natural state after use, with no further chemicals or fuels required. Perhaps one of the most amazing range of “impossible” designs possible through 3D printing — but not through traditional manufacturing — is that of body parts; organs with complex inner configurations at the cellular level are the best example. Apart from the capability to create replacements without rejection risk, these structures could extend our natural capabilities to add extended breath capacity, resistance to toxins, or many capabilities beyond our body’s natural limits. At the present time, organic 3D-printed objects are only available for use outside the body to test new medications and treatments before they’re certified for use on a living body. Complete, implantable organs — at full scale — will soon be available. Custom-fabricated 3D-printing formulary systems can print individual pills, each containing a combination of basic drugs unique to a patient’s needs, across the entire course of treatment. Custom formulary systems that use traditional manufacturing do exist, but their products tend to be sustained combinations of existing medications, scaling traditional standard doses by body weight alone. The cost of producing individual treatment programs has been high — and never mind custom-creating pills tailored to the patient. 3D-printed pharma systems can manage such feats, completing each pill’s mixture as easily as they’d create a pill with only a single source chemical. The mixture can be adjusted to match the patient’s body mass, absorption rates, daily food and water intake, and general health, and might even include a mix of new medical nanomaterials as well as the simpler compounds of today.